To help people who have Down's syndrome and their parents or carers through telephone and direct support, education workshops, conferences, therapy sessions, and advocacy work. Since the group was formed we have provided: Support for new parents of babies born with Down's syndrome by telephone and by visiting them in hospital when requested. Early intervention support in the form of therapies not available on the NHS, such as occupational therapy. Legal / educational workshops and conferences. Since the group was formed we have provided support for new parents of babies born with Down's syndrome by telephone and by visiting them in hospital when requested. We have also organized workshops about behavior and education which have helped parents and carers. People who have Down's syndrome can lead better healthier and happier lives because of our commitment to help them, their parents and carers. 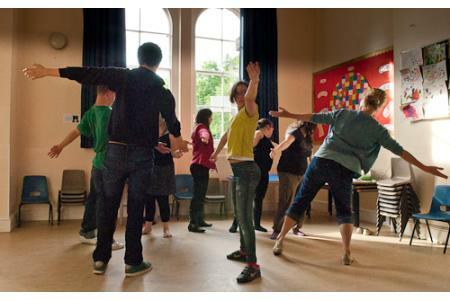 One session of our special keep fit dance and movement therapy sessions.